iTQi Superior Taste Award - 3 Golden Stars. Great taste award 2015. The grocer's top campaign awards 2016. World dairy innovation awards 2015. 100% natural ingredients. More milk. Less cream. Less air. Lighter. Smoother. Gluten free. OGM free. Only 10 Ingredients. Free from artificial substances. 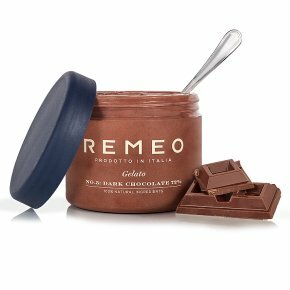 Suitable for vegetarians.Made with the finest Ecuadorian dark chocolate (72%) and blended with highest quality fresh Italian milk, this rich and intense flavour is for only true chocolate lovers. Superior Taste Award Winner (3*) & Great Taste Award Winner. A clean and delicate taste.